The Ol' Goat. It is a white pie with mozz, garlic, ribbons of fresh asparagus, crumbles of a mild goat cheese, a shake of red pepper flakes and finished with a lemon wedge. 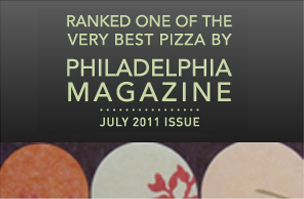 Olcés pizza is ranked one of the Very Best Pizzas by Philadelphia Magazine in its July 2011 issue!! Olcé is one of the Top Ten Pizza Places in the Philadelphia area for our fabulous pizza toppings! Hear all about Olcé on your favorite social network. Spread the word about our pizza! 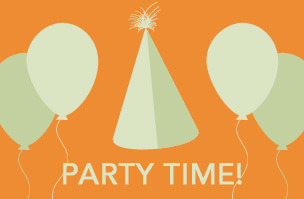 Bring your favorite bottle of wine or beer and join us! Copyright © 2018 Olcé Pizza Grille.